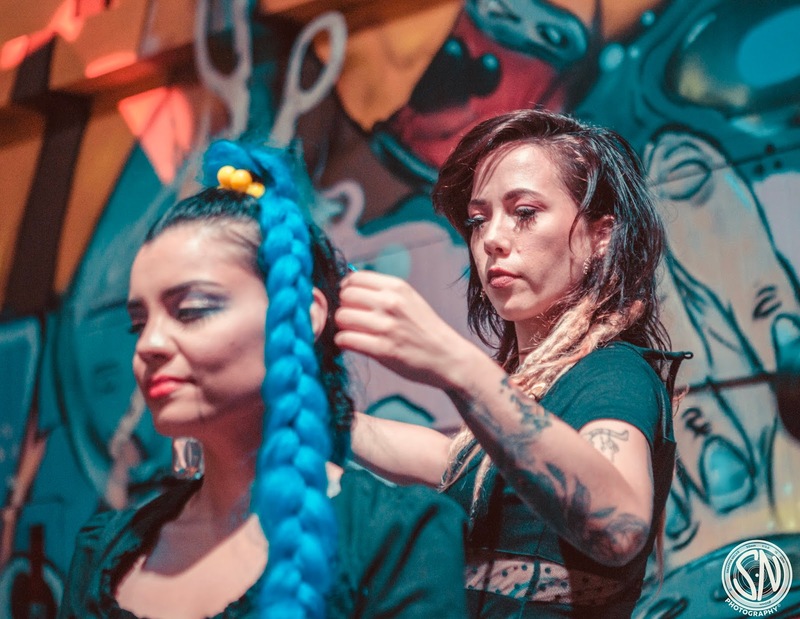 Box Gallery: Beards and Babes at High Gloss 2018 in West Palm Beach! Beards and Babes at High Gloss 2018 in West Palm Beach! Damian Rojo, Ash Rana, James Eisele, Nicole Galluccio, Flavio Iryoda, and Rolando Chang Barrero. Special Best Dressed Drag Queen Award! 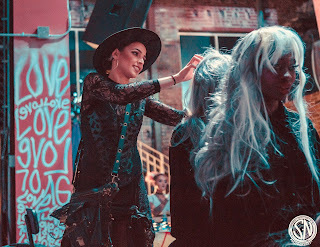 Special Live Performance by Beards & Babes! The avant-goth creative collective “Beards and Babes” will appear live at The Box Galley’s HIGH GLOSS 2018 on Saturday, July 14, 2018 from 7-10 PM. 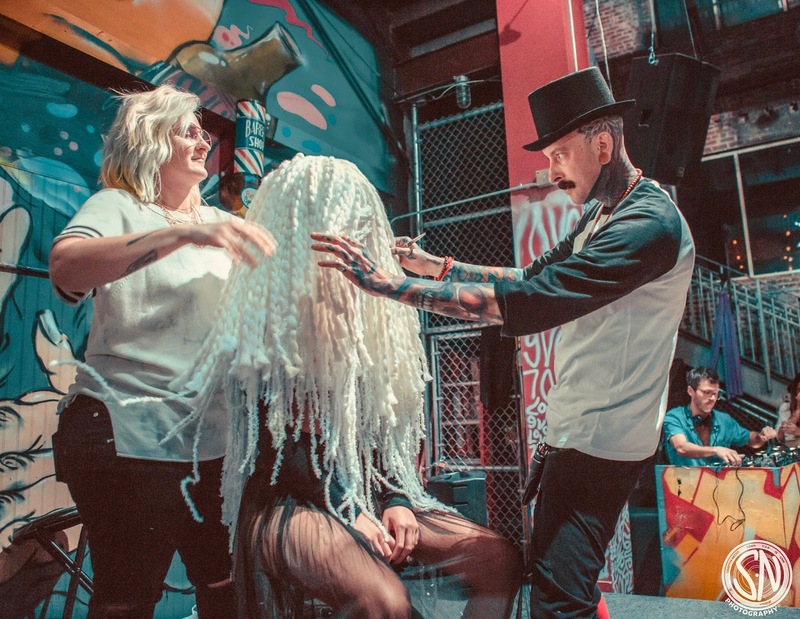 The collective of mad hatters, hipsters, punks, and models have taken their hair designs and sculptural silhouettes into the performance art arena. The creative eight will come together again since their last show stopping live performance and video premiere of No Strings Attached which will be show during an evening dedicated to the art of fashion and design. Beards and Babes - a collective team of beauty industry professionals with the vision to curate a bridge between stylists and barbers worldwide through community enrichment projects. The collective is comprised of Ryan Mercado, Naylan Alvarez, Brian Mayerbach, Carrie Capalbo, Jade Segal, Crystal Pratt, Mark Marrero, and Adam Shuman. The project is organized by The Florida Arts Association, Rolando Chang Barrero, and Sandra Schulman. 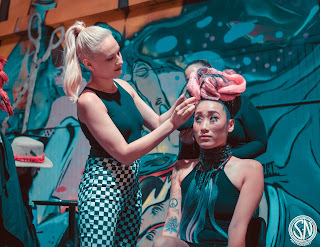 The creative eight will come together again since their last show stopping live performance and video premiere of No Strings Attached which will be show during an evening dedicated to the art of fashion and design. Watch No strings Attached Now! The avant-goth creative collective “Beards and Babes” will appear live at The Box Galley’s HIGH GLOSS 2018 on Saturday, July 14, 2018 from 7-10 PM. 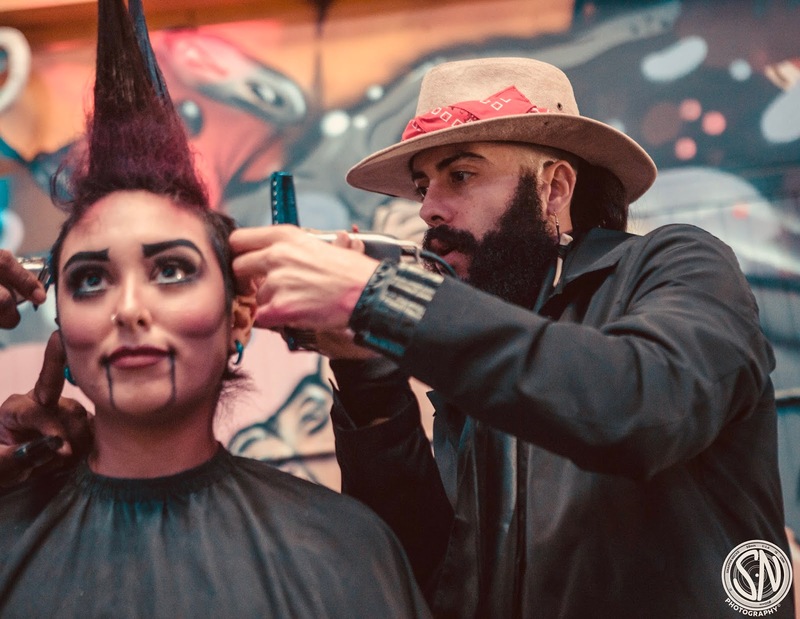 The collective of mad hatters, hipsters, punks, and models have taken their hair designs and sculptural silhouettes into the performance art arena. In West Palm Beach Magazine!